Brace yourselves, because Taco Bell is finally looking at on-boarding a Golden State legend that's almost as classic as the Showtime Lakers: French fry-loaded California burritos. Native to San Diego, the Cali burrito typically comes loaded with guac, meat, cheese, salsa, and plenty of crispy spuds. 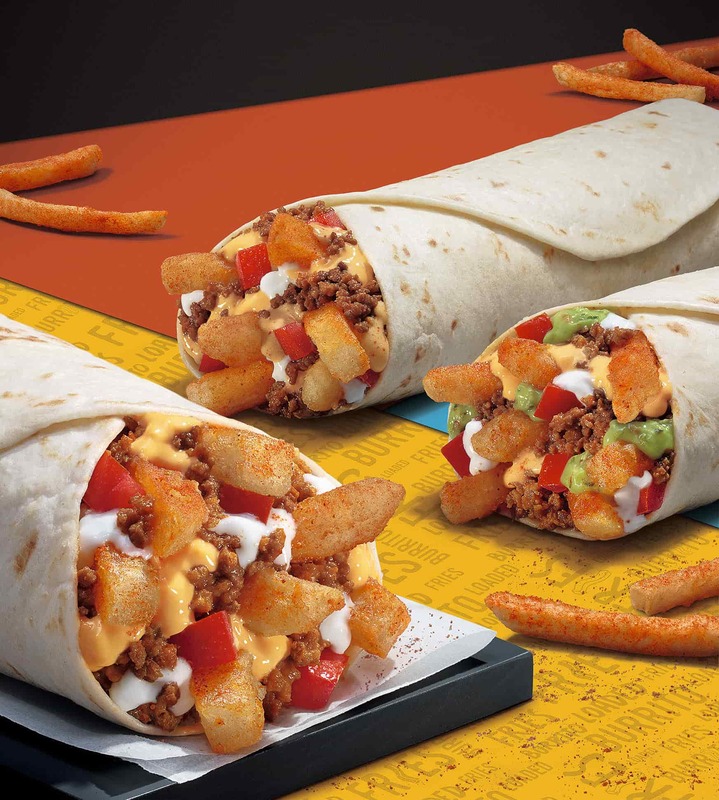 Taco Bell's version, called the California Loaded Fries Burrito, hits all of those marks, opting for ground beef as the protein of choice and forgoing regular shredded cheese for nacho cheese and sour cream. Currently, you can only find them as a test item at locations in Charleston, West Virginia. They're priced at $1.99 apiece, and are also available in a $5 box with a Nacho Cheese Doritos Locos Taco, a crunchy taco, and a medium drink. It's not just California burritos that Taco Bell is testing, however, as they're also unleashing a trio of Loaded Fries Burritos, with the surfer staple being just one of the possible varieties. You can also choose from Chipotle (the same burrito, but with creamy chipotle sauce instead of guac) and Supreme (which has neither chipotle sauce nor guac, and appears to be the basic version of the set of wraps). All three versions can be purchased in the above a la carte or in $5 box selections. While it's legit to see a SoCal burrito legend make its way to the Bell, what's more exciting is that we're getting yet another test item containing Taco Bell's fries. After an earlier test of nacho fries and some hints that more would be in store, we're increasingly hopeful that a national launch of Taco Bell's crispy potatoes is coming soon. For now, we'll have to settle for the test of these Loaded Fries Burritos, which are available in Charleston through late December.